China’s largest holy Buddhist sanctuary, the thousand-year-old Famen Temple, in Shaanxi Province’s Baoji City, bears a unique and quiet, though not always tranquil, history that spans a thousand years from the Tang Dynasty to the cultural Dynasty. It is widely regarded as the "ancestor of pagoda temples in Guanzhong area" and its pagoda is the oldest in China. 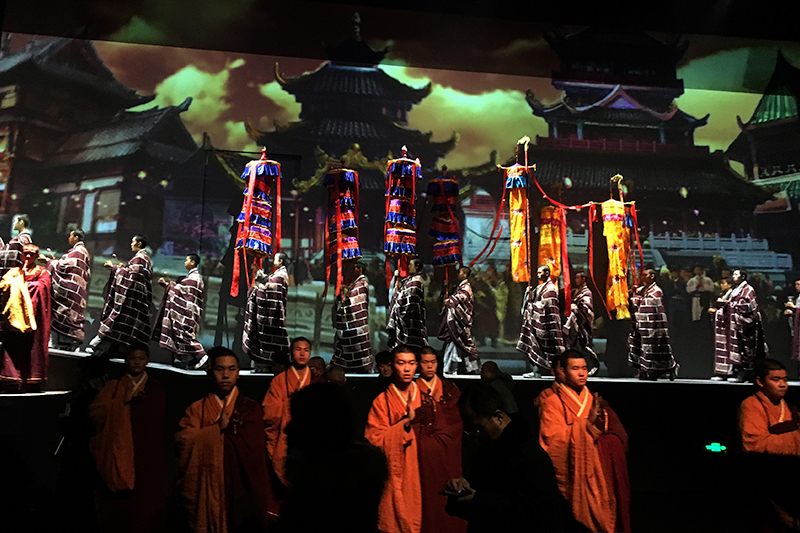 To share four touching and ancient tales from this past of guarding its Buddhist relics, 24 Digital Projection HIGHlite Laser II projectors were entrusted to create China’s largest single fixed installation project using laser projection. 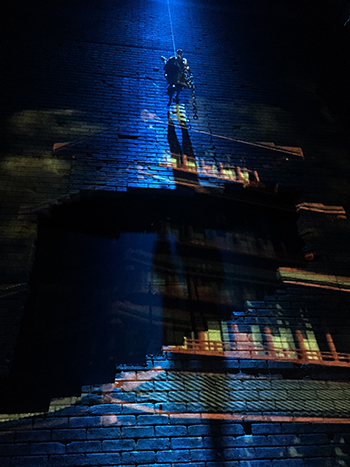 The performance takes place in the North Hall of the iconic landmark pagoda. Six performance areas – entitled Prelude, The Wish, The Audacity, The Battle against Demons and Meditations – punctuate the 7,300 metres-square space. 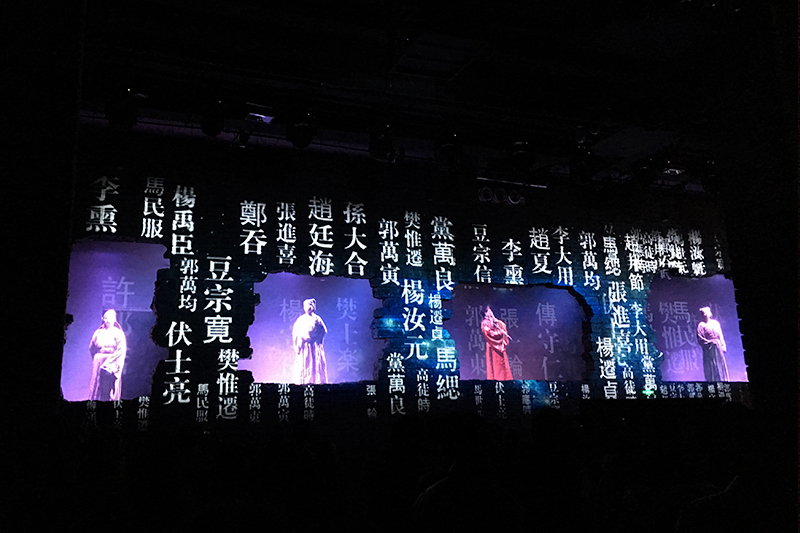 Immersed in the breath-taking visual experience of the play, the audience flows through each performance area to take in the transformations of space and time through the changes in the past thousand years of history. The Digital Projection HIGHlite Laser II 3-chip DLP laser projectors were selected for their durability and stability as well as its superlative imaging. 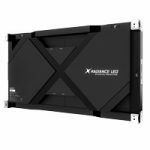 Built on solid-state laser phosphor technology, the HIGHlite Laser II delivers a highly durable solution with a long-life span: over 20,000 hours, maintenance-free and designed with redundancy in mind. Boasting a brightness of 13,000 lumens alongside DarkChip™ DMD™ technology, the HIGHlite Laser II delivers beautifully defined images in true colour to create effects akin to true theatrical display. 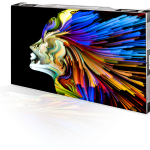 Full HD projection from 1920 x 1200 physical WUXGA resolution ensures a truly refined quality of image. 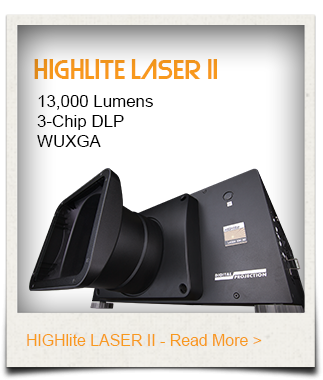 The 24 Digital Projection HIGHlite Laser II’s are distributed amongst the separated sections of the play. Three are dedicated to The Prelude and create immersive scenery, whilst a further seven serve two sections in the East and Central Halls to demonstrate The Wish, furnishing an impressive projection area of over 5,000 square metres. The Audacity follows the dedications of a pious monk: his painstaking practice and the building of his tower in the service of promoting Buddha’s dharma and saving people. 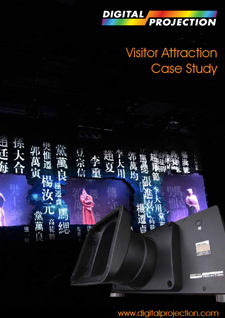 A total of six Digital Projection HIGHlite Laser II projectors create a 360° panoramic viewing experience immersing the audience and detailing the storyline to them. 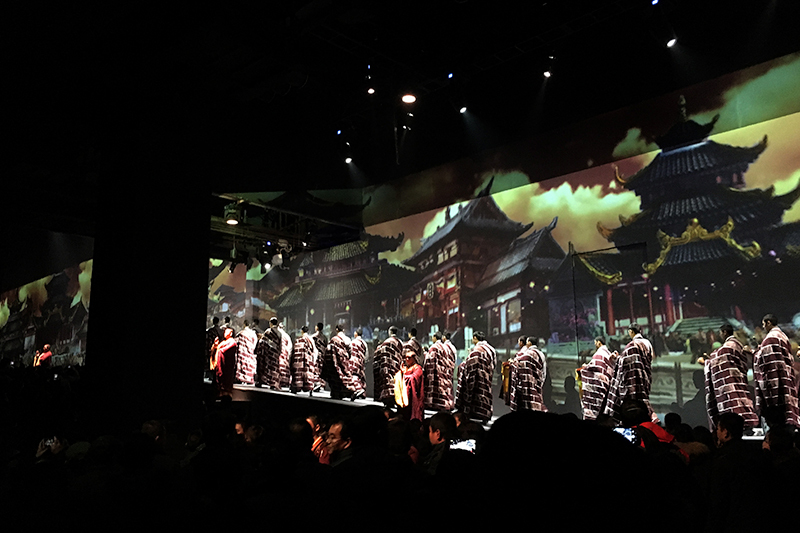 In the section showing The Battle against Demons, three further Digital Projection Laser projectors create a 126 metres-square vision on gauze. At this point the story of General Zhu Ziqiao is retold, as he aids the disaster at Fufeng, by giving the people satisfying employment rather than handouts. 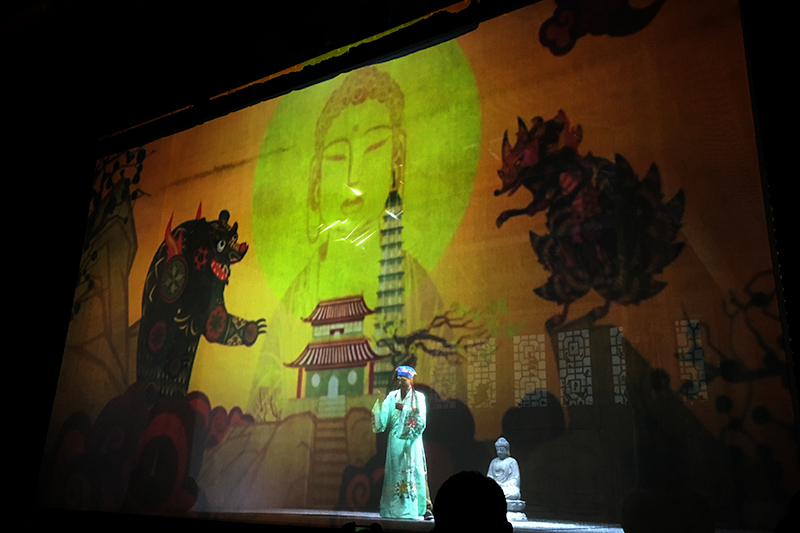 The touching story of Adjutant Ding, who spent his life singing opera to protect the Buddha dharma and guard the Buddhist treasure is also introduced in the stunning visuals projected onto gauze, supplemented by surround sound for full audience immersion. In the final area of the story showcase, nine HIGHlite Laser II projectors combine to create a spectacular finale, with a projection spanning 182 square metres. The story at this stage depicts the young monk, Liangqing, protecting the pagoda during the Cultural Revolution and eventually coming to a righteous end. The projected vision reinforces the boundless nature of Buddhism by way of a wondrous projected visual experience.